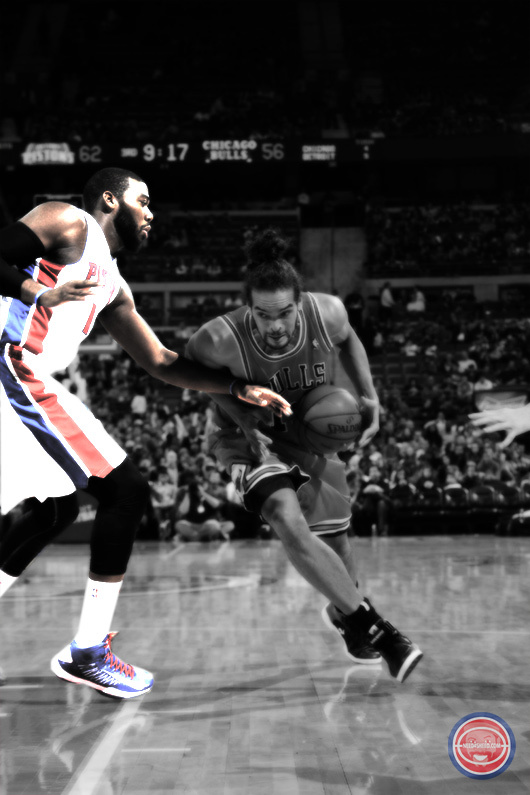 Joakim Noah had a career night with 30 points and 23 boards. I know he’s having great season, but wouldn’t it have been nice if Frank had a game plan to stop him when he started grabbing all those offensive boards? Something like, put the Twin Towers in to stop him. 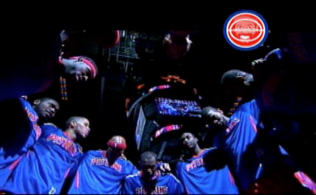 The 108-104 score makes it seem like the Pistons had a chance in the closing minutes, but they were awful. Detroit missed all six of their attempts and committed three turnovers to finish the game. The not playing Jonas thing is just getting silly. He’s not going get out of whatever slump he’s in riding the bench. 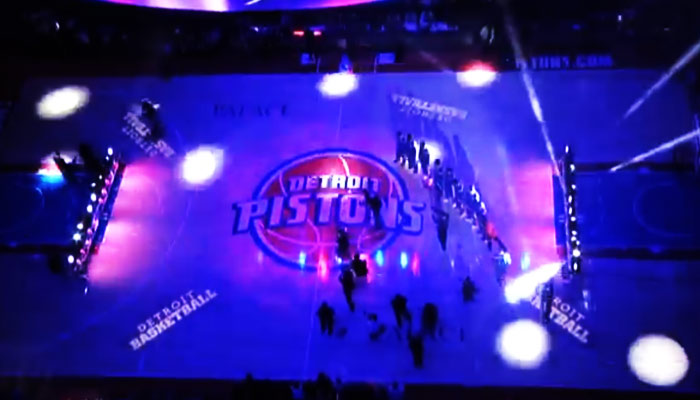 Besides the ovation that Ben Wallace got from the crowd when they showed him on the big screen, Andre Drummond’s dunk set the crowd on fire. Drummond finished with 12 boards and four points. 58 points in the paint for Chicago to Detroit’s 38. Rodney Stuckey led the Pistons with 24, with 17 of them coming in the first half. 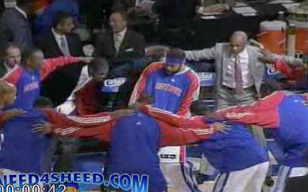 It was Stuckey that propelled Detroit to its 17 point lead. Villanueva still has his shot, he was 6-for-9 for 15 points in 20 minutes. Singler slumping, he was just 1-for-6 on the night. Where did Greg Monroe disappear to in the second half? I sat in front of a friendly Bulls fan who I was joking with. When the Pistons were up 17 I told him he should be ashamed and should turn his Rose jersey inside out. We laughed and I said, “don’t worry, Detroit will blow the game very soon.” I sadly was right. Fat Joe was the halftime entertainment at the Palace. Who’s career is in a better place Fat Joe or Austin Daye? Brandon Knight finished with 21 points on 6-for-11 shooting. He’s making some sketchy late game decisions and is having tough time finishing at the rim. Saturday night in Cleveland may help the Pistons wash the taste of this game out of their mouths. 3 Responses to "16 Straight for the Bulls"
12 hours since the game finished and i still dont get it how do u defend u r post with charlie v and max agaist noah and boozer? So what’s up with Monroe not scoring 15-20 anymore? His play has decreased drastically.